According to the football transfer rumours in German Media, Manchester City are linked with a move for Bayer 04 Leverkusen right-back Benjamin Henrichs. 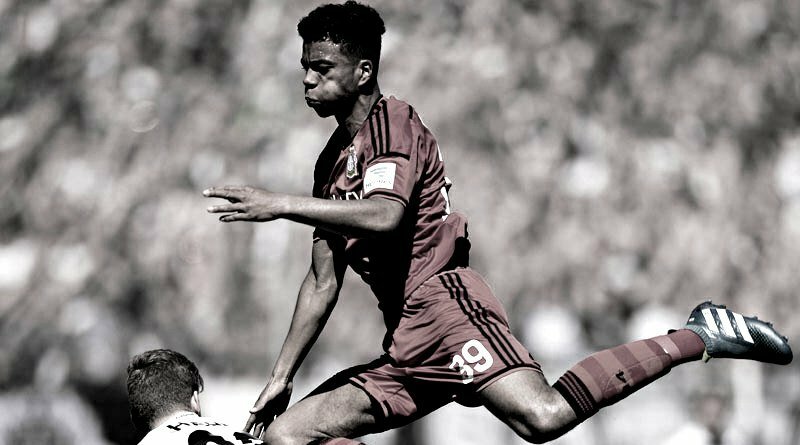 Benjamin Henrichs has joined Bayer 04 Leverkusen from Bayer 04 Leverkusen U19 in 2015. The 20 year-old has a valid contract with Bayer 04 Leverkusen until June 2020. Since his arrival from Bayer 04 Leverkusen U19, Benjamin Henrichs has provided four assists in 39 games for Bayer 04 Leverkusen, including three assists in 29 games in all competitions this season. The 20-year-old is considered to be one of the best right-backs in Germany. Benjamin Henrichs has represented Germany at Under-15, Under-16, Under-17, Under-18, Under-19 and Under-21 level, winning 38 caps and scoring eight goals, before making his senior international debut in November 2016. As a member of Germany national football team, Henrichs has won only one cap. The Germany international is a player who has impressed many European Clubs in the last season, and it is understood that Manchester City manager Pep Guardiola would prefer playing Henrichs as a right-back. He would be perfect replacement for Pablo Zabaleta. Euro Football Rumours understood that Bayer 04 Leverkusen will hope to keep hold of their prized asset until the end of 2017/2018 season at the very least. How strong that interest is and whether Manchester City will make a summer move remains to be seen but it is certainly one worth keeping an eye on.